Dale Earnhardt Jr. is a NASCAR driver that has distinguished himself well above the pack. His plethora of successes has shown him to be one of the greatest racers of all-time. In his over two-decade racing career, he has clinched the top ten spot over 200 times. It’s no real surprise, considering he comes from a successful line of famous NASCAR drivers and stock car fabricators. However, Dale Earnhardt Jr. has definitely earned his spot in history by merit and hard work. In 2017, he announced his retirement from professional racing but has since that time been a part-time racer instead. Born Ralph Dale Earnhardt Jr., the famous NASCAR racer was born on the 10th of October, 1974 in Kannapolis, North California. He was raised by his parents Dale Sr. and Brenda Lorraine (née Gee). 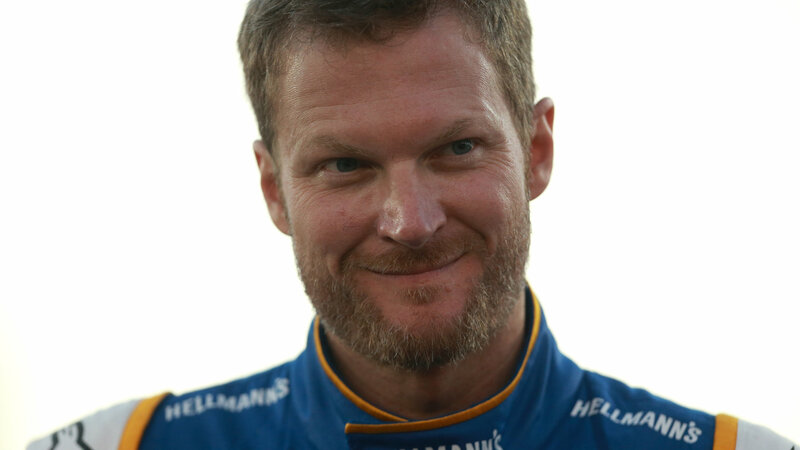 Dale Jr. has three siblings; elder half-brother Kerry from his father’s first marriage, elder sister Kelley, and a younger half-sister from his father’s third marriage. He comes from a line of successful professional drivers. His father, Dale Sr., was a successful NASCAR driver and a NASCAR Hall of Famer. His paternal grandfather was a stock car fabricator while his maternal grandfather, Robert Gee Sr., was a NASCAR car builder. Little wonder that Dale Earnhardt Jr. found his way into the racing world at the end of the day. It took a while before he did though. Prior to getting into racing fulltime, Dale Jr. and his sister Kelley lived with their mother after his parents got a divorce. After a house fire that destroyed her home, and with no financial support, Brenda surrendered custody of the two children to Dale Sr. At this time, he was set to get married to Teresa Houston. At the age of 12, his father sent him to a military school as a result of his delinquency. Weeks afterward, Kelley quit high school to join Dale Jr. It wasn’t until the age of 17 that Dale Earnhardt Jr. got into racing professionally. He attended the driving school run by Andy Hillenburg. He participated in his first race in a 1979 Monte Carlo race car he owned with his brother Kerry. While honing his skills and participating in several races with his siblings, he worked at his father’s dealership as a mechanic. This he did while also attending Mitchell Community College to earn an associate degree in automotive technology. His amazing performance and racing prowess earned him nine Busch Series races between 1996 to 1997. He started appearing in the Winston Cup Series in 1998, with his debut race at the Twin Ring Motegi in Japan. In 2000, he went full-time in the Winston Cup series. Dale Earnhardt Jr.’s racing career is decorated with accolades. He is the winner of two Daytona 500 races in 2004 and 2014, and his win in the Daytona International Speedway earned him the nickname Pied Piper of Daytona. He is also a fifteen-time winner of the Most Popular Driver Award, thanks to his races between 2003 and 2016. He raced in the Monster Energy NASCAR Cup Series 631 times, winning 26 of them and appearing in the top ten 260 times. His first race in the series was in 1999, with his first win in 2000. He had his last win in 2015 and his last race in the series in 2017. His career in the Monster Energy Series lasted for close to 19 years. Professionally, he has also been in the NASCAR Xfinity Series, which he currently competes part-time in. He has had 140 races so far in his Xfinity career, winning 24 of them and appearing in the top ten for 92 of the races. His first race was in 1996, with his first win in 1998. He had his last win in 2016 and had his last race in 2018. Dale Earnhardt Jr. is also a team owner and a NASCAR analyst for NBC. Dale Earnhardt Jr.’s NASCAR career is one rife with critical acclaim. He has made a fortune through his career and is considered one of the richest NASCAR racers in history. This places him as one of the richest athletes of all time. His net worth is estimated at a whopping $400 million, made from his career, endorsements, merchandising and other business ventures. • He stands at a height of 6 ft. / 183 cm and weighs 178.5 lbs. / 81 kg. • Dale Earnhardt got engaged with his longtime girlfriend Amy Reimann on the 17th of June, 2015. They tied the knot at the Richard Childress’ Childress Vineyards at Lexington, North Caroline on the 31st of December, 2016. This happened after the racer received his 14th Most Popular Driver Award in the same year. • In 2017, he announced with his wife that they were expecting their first child, and on the 30th of April, 2018 baby Isla Rose was born. • Dale Earnhardt Jr. once mentioned that he enjoys cooking, and does this whenever he doesn’t have races to drive in. • He is a collector of vinyl records. He enjoys television shows, specifically The Office and Restaurant: Impossible.